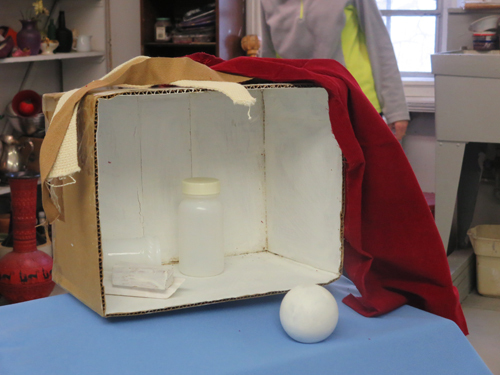 Because these boxes are not big (about 8-10 inches long), there was a Stage Set for every student, who could move to get different angles of the thing. 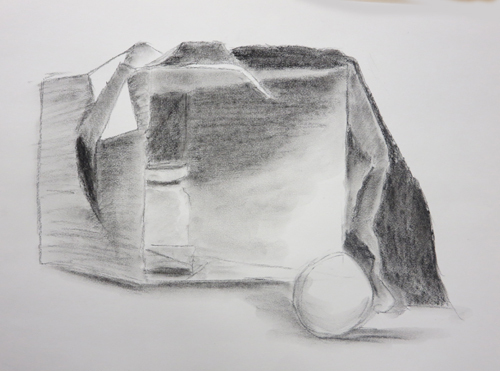 During this class, Maggy did two drawings of the same box, from slightly different angles. As in the previous class, she saw forms, this time playing with the repetition of triangles and trapezoids. 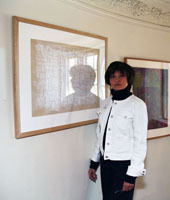 Her second drawing is shown here, top. This is fun to look at. It’s witty, in that some things are clearly stated, and some leave you guessing. You can tell that she had worked through some possibilities and was committed to abstraction. Her first drawing of the same motif, at left, is more tentative. 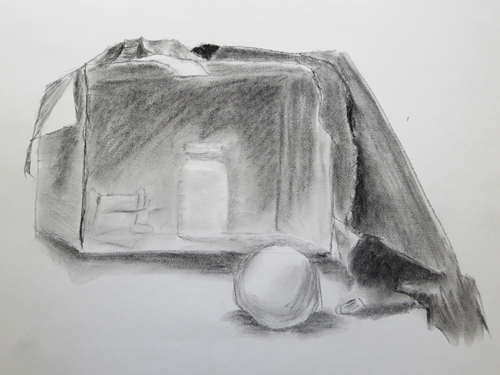 I recommend that students plan on doing more than one drawing, where the first one allows you to get your bearing on this subject in front of you and the second one will therefore by drawn with more conviction and daring.